It's still snowing at Main Lodge at 6am and the temperature is 12 degrees. Winds are moderate around 17mph. Highs today are in the upper teens. The top is seeing cold single digit temps and strong winds reaching 70mph. The snow from this storm is some of the lightest we've seen at Mammoth Mountain this year. Boards and skis seem to float effortlessly through it. Visibility may be limited somewhat, but the snow is so good it makes it all worthwhile. Expect it to keep snowing today with several more inches of accumulation. Our base depth is now 75-95 inches. There is a Winter Storm Watch in effect until Friday morning. Most lifts are expected to open today except for the upper mountain chairs. 84 runs were groomed last night on nearly 800 acres of terrain. There's something for every powder hound or groomer cruiser. Please remember that natural and man-made obstacles do exist so always ride with caution. Watch young racers tackle Upper Hades this Saturday and Sunday during the Jesse Scott Memorial Super Giant Slalom. 50mph+ speeds, 30 feet of air… Need we say more? Advanced Terrain Park: coming soon! JHMR SEASON PASSHOLDER PARTY AND RACE A special thank you pizza party and ski race for all of our season passholders. Tons of great prizes are raffled off including a season pass for 2008-2009! Don't miss it! CHEVROLET: AN AMERICAN REVOLUTION The Chevrolet Gas Friendly to Gas Free Tour will be at the JHMR base area! JACKSON HOLE SKI CLUB SERIES RACE Come on out and cheer 'em on! 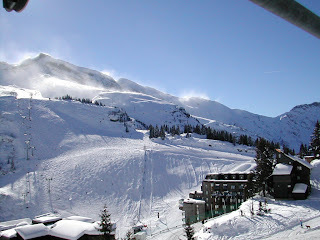 All the lifts are open for an amount of 115km of slopes in perfect conditions. Snow height: from 70cm of Socrepes to 130cm of Tofana. New day skipass "Direct to lift:Chipcard with a discount of 5-10% on the day skipass price. Patrick always has some news for you ! regarding Indoor slopes and Dry slopes. Rather than taking a competitors position, Patrick and Snow365.com have always demonstrated "A "Bro Deal helping hand" . Powder Passport. Powder Passport is a multi-mountain access pass that grants you UNRESTRICTED skiing and riding at your choice of top Northeast Mountains with no blackout dates. The new fixed 6-seater Vermiel chairlift with conveyor belt entry and luxury upholstery replaces the three Vermiel drag lifts. With the new lift and the moving of the new mountain station to the mountain station of the Grandaubahn, this area is experiencing a substantial qualitative improvement. The “Climb-the-Mountain” Splitboard Festival takes place exclusively on the Hochjoch on 8 and 9 March 2008. 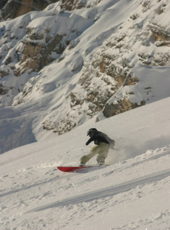 All snowboard tourers (and aspiring snowboard tourers) are expressly invited to take part in this unique event. 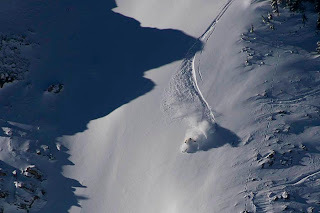 The European Splitboard Festival was awarded the 2007 Vorarlberg Innovation Prize for Tourism. Further information at www.huettle.at, www.voile-europe.de and www.climb-the-mountain.com. All in we got 3" throughout the day yesterday and it was a great all round ski/ride day - some new snow, warmer temps and great conditions (mostly machine groomed packed powder on a firm base). We’ve got 71 of 76 trails open accessed by 7 of 8 lifts.